Marchesa has long been dressing some of Hollywood’s hottest stars, with the likes of Sarah Jessica Parker and Blake Lively regularly stepping out in some form of stunning creation on the red carpet, and many an A-Lister choosing the brand to design their dream wedding dress (Nicole Richie and Molly Sims). With very few Hollywood premiere invitations coming our way, and next to none in the pipeline, we’ve had very little need (and very little budget) to shop anything from the designer collections so far. Until now. Marchesa has announced a new shoe range, which follows their recent accessory venture, that will debut as part of their SS16 collection. Luckily we won’t have to wait long to see the collection in it’s entirety, for the show is but a few weeks away. 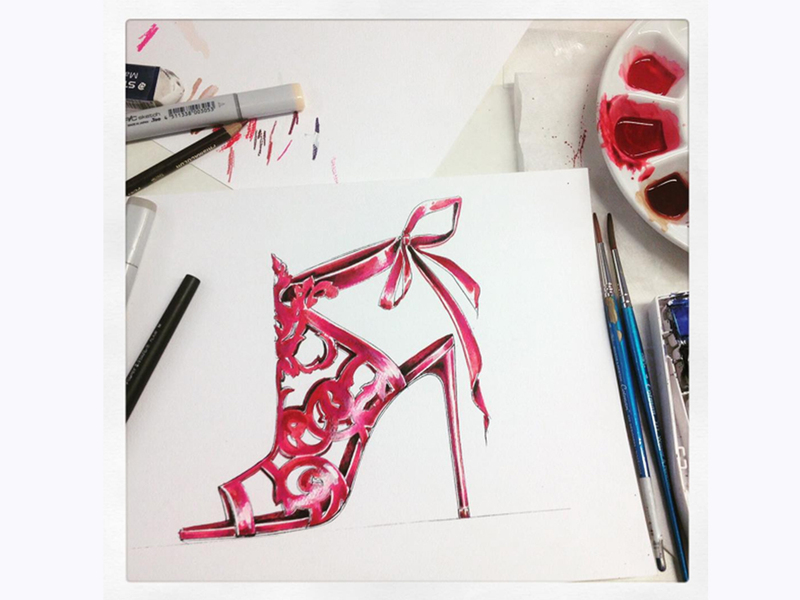 Sharing a sneak peek of what to expect, British designers Georgina Chapman and Keren Craig posted a preview sketch on Instagram, which shows a cage-style heeled sandal in a standout pink shade, laced-up at the back in some sort of elaborate bow. So far, so very Marchesa. We expect dedicated fans of the brand to snap-up the new statement styles as soon as they land, and we don’t blame them, as we predict the new shoe collection will be every bit as chic as their ready-to-wear offering. We think Marchesa might just have our occasionwear wardrobe all sewn up.